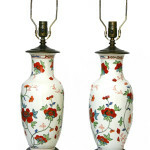 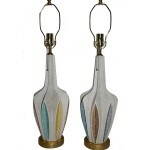 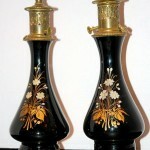 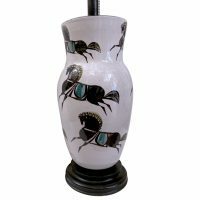 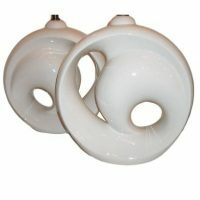 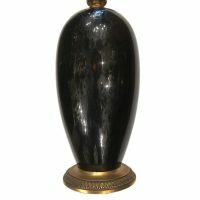 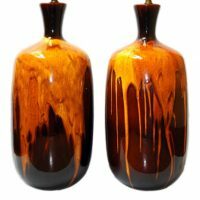 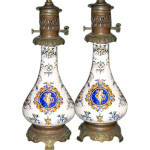 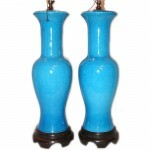 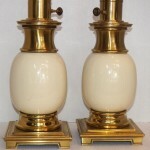 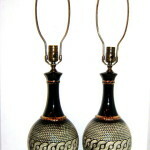 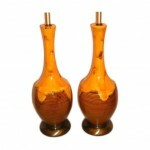 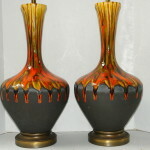 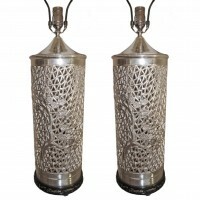 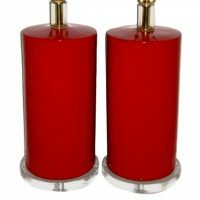 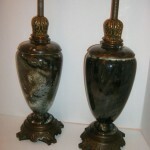 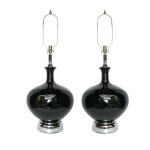 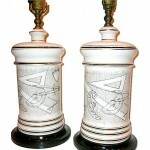 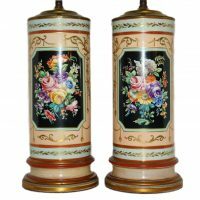 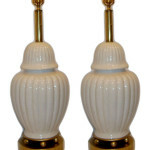 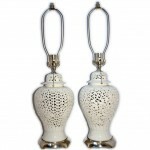 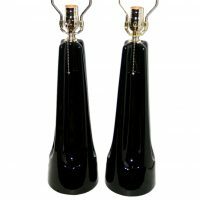 A pair of Italian circa 1960's black glazed porcelain table lamps. 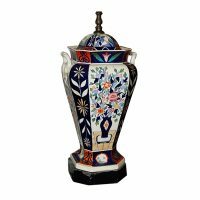 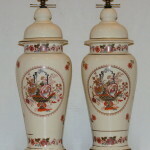 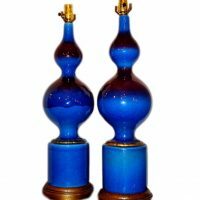 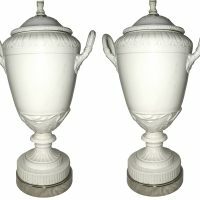 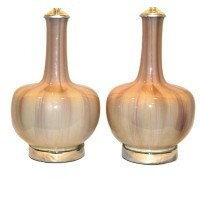 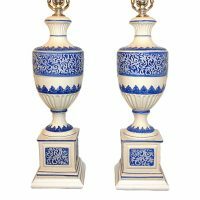 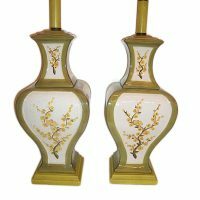 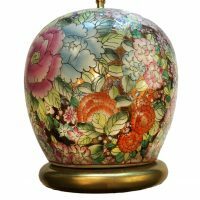 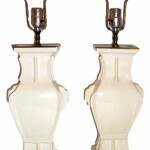 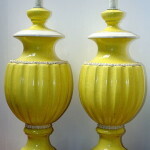 Measurements: Height of Body: 23"
Circa 1940's Italian urn-shaped porcelain table lamps with pedestal bases. 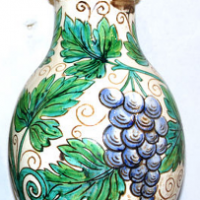 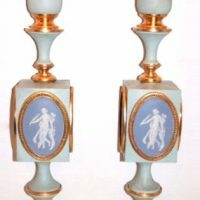 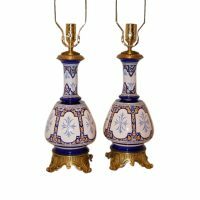 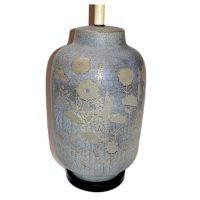 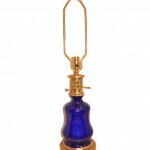 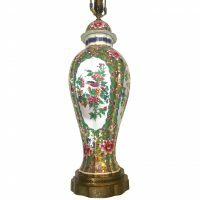 Measurements Height of body: 20" Height to shade rest: 28"
A pair of late 1940's large Italian blue-glazed porcelain table lamps with gilt details. 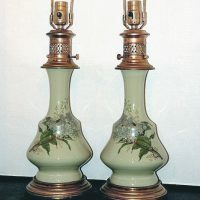 Measurements: Height of body: 26.5" diameter: 7.25"
Pair of large celadon green porcelain table lamps with floral decoration in white tones and with gilt details. 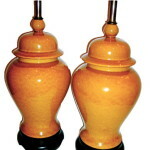 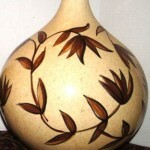 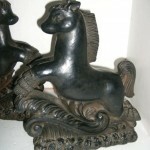 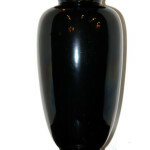 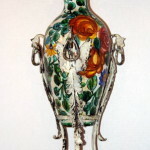 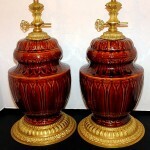 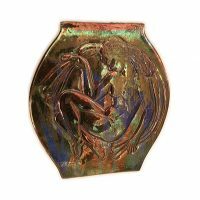 Gilt and ebonized bases. 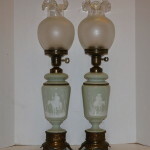 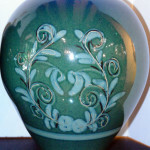 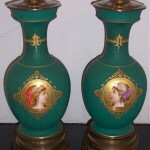 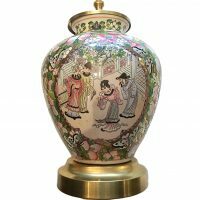 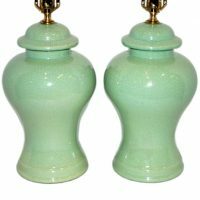 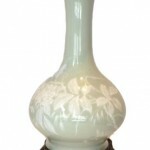 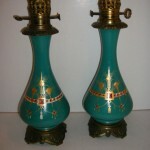 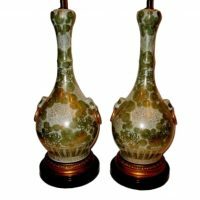 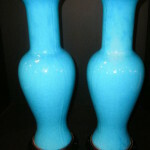 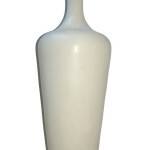 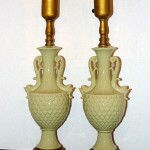 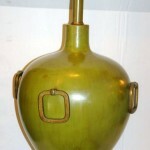 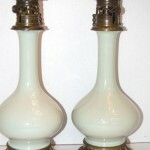 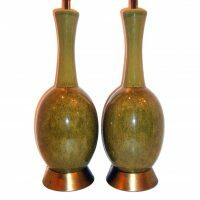 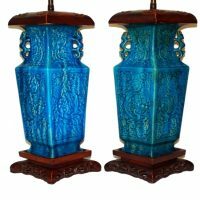 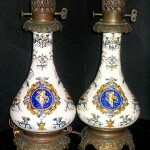 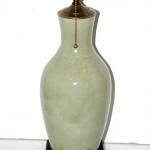 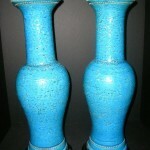 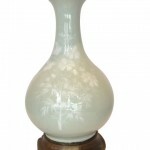 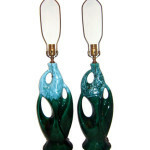 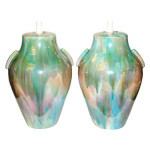 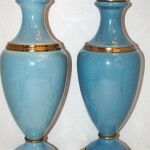 Measurements: Height of body: 21"
Pair of 1940's Chinese crackled celadon porcelain table lamps. 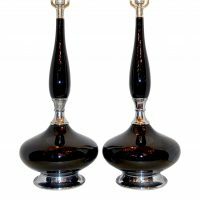 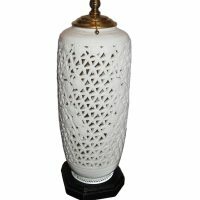 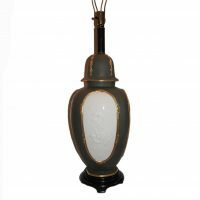 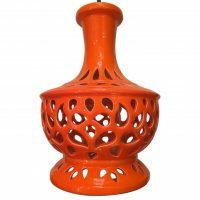 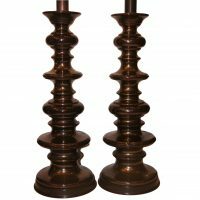 Measurements: Height of Body: 15"
A pair of circa 1950's Italian black porcelain table lamps with scalloped details on fluted column body. 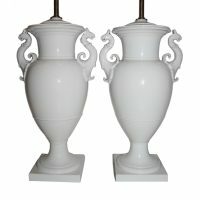 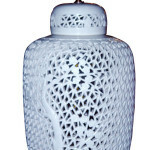 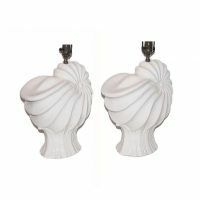 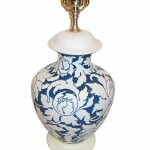 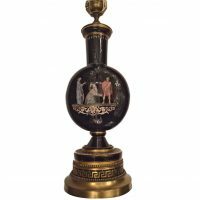 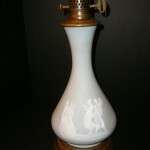 Measurements: Height of body: 17"
Pair of circa 1920's English white porcelain table lamps with griffins on body. 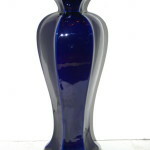 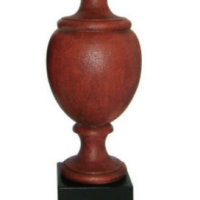 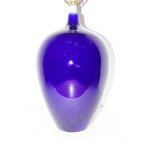 Measurements: Height of body: 15.5" Height to rest of shade: 27.25"